Heat oil in a pan. Add cumin seeds to crackle. Add ginger julienne and whole red chilly and saute for one mins. Add onion cubes and stir fry for one mins. 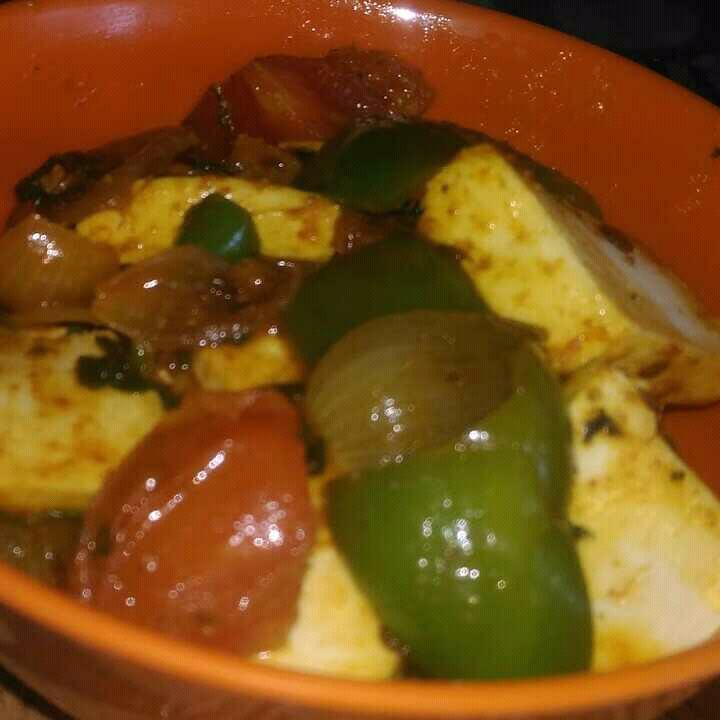 Add capsicum cubes tomato cubes and cottage cheese/paneer cubes and mix well. Add red chilly powder,turmeric powder,garam masala powder,green chilly and salt. Pour lemon juice and cover it and cook for two mins. Serve with rice or chapati.